This book is the first volume of a collection of seven books. 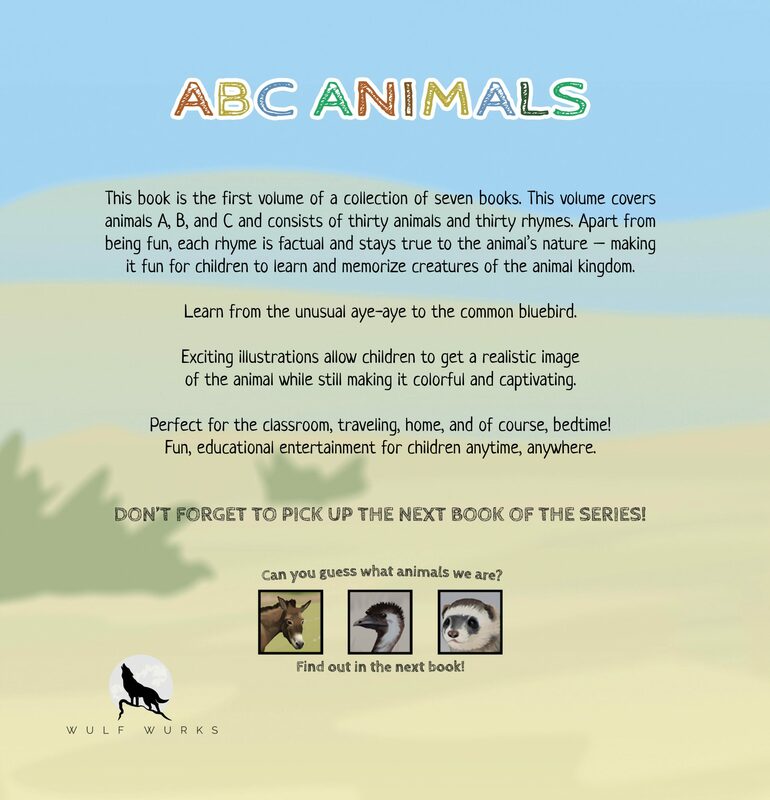 This volume covers animals A, B, and C and consists of thirty animals and thirty rhymes. 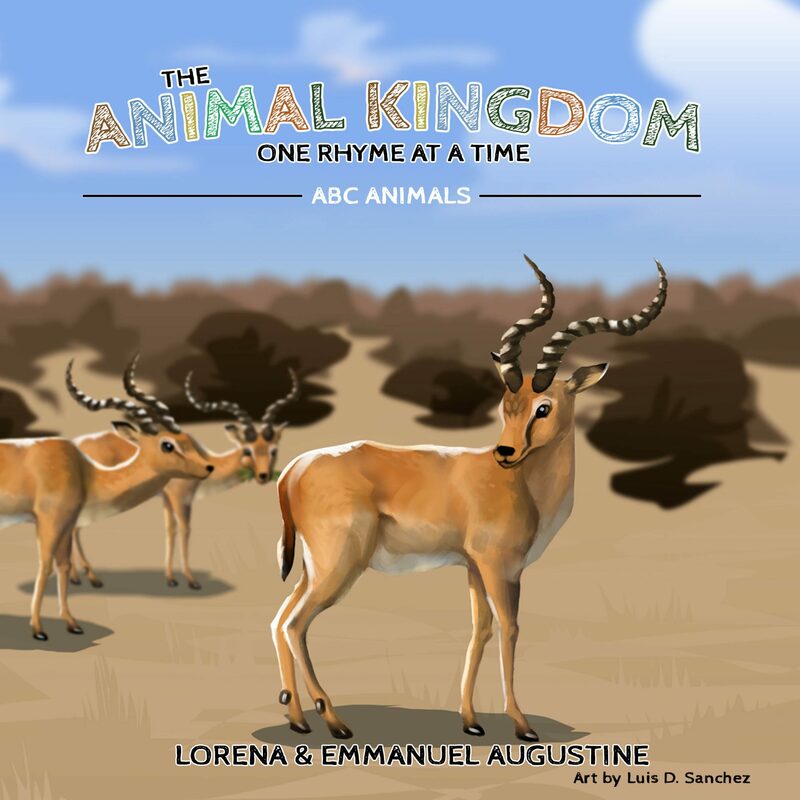 Apart from being fun, each rhyme is factual and stays true to the animal’s nature – making it fun for children to learn and memorize creatures of the animal kingdom. Learn from the unusual aye-aye to the common bluebird. Exciting illustrations allow children to get a realistic image of the animal while still making it colorful and captivating. Perfect for the classroom, traveling, home, and of course, bedtime! Fun, educational entertainment for children anytime, anywhere. DON’T FORGET TO PICK UP THE NEXT BOOK OF THE SERIES!